Everyone’s favourite story about the girl who followed the rabbit down the hole comes to life at Canberra’s first Alice in Wonderland-themed cocktail bar. With a curious atmosphere and a menu fit for the Mad Hatter – White Rabbit encapsulated everything we love about this classic fairy tale. The venue is fixed with tea-ready décor and located in the heart of Canberra. Owner, Nick Tuckwell, says that the Alice in Wonderland theme provides a quirky spin to what would otherwise be a simple cocktail bar. The decor at White Rabbit will send you straight to Wonderland. 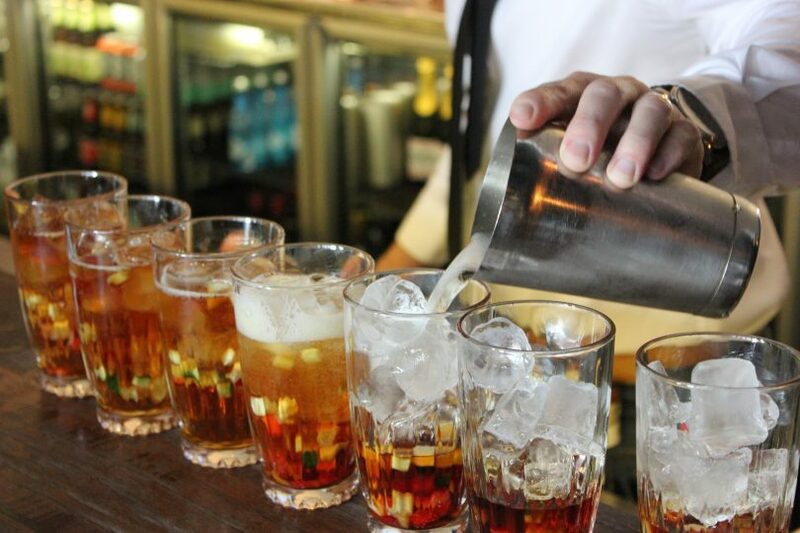 One of the primary ways that White Rabbit differentiates itself is by hosting a Tipsy Tea every weekend. That’s right folks, you can now join Alice for the biggest tea party with a twist! 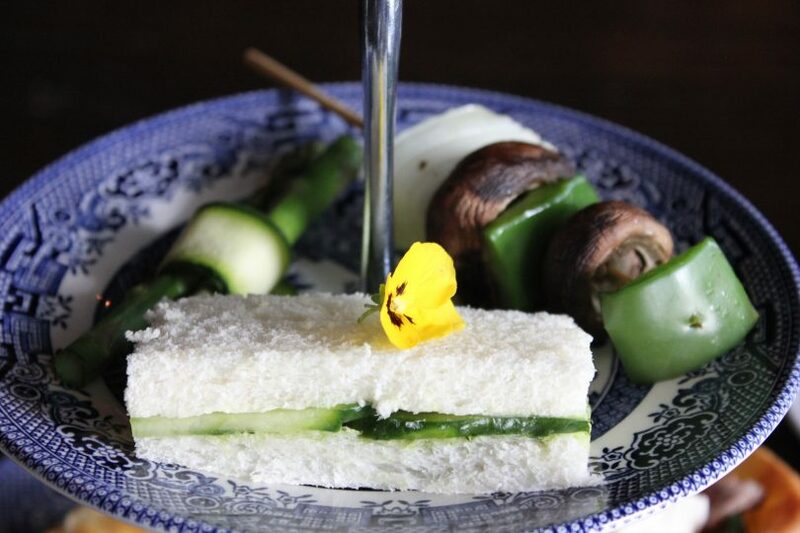 Priced at $65 per person, the Tipsy Tea includes a diverse selection of savoury and sweet nibbles. 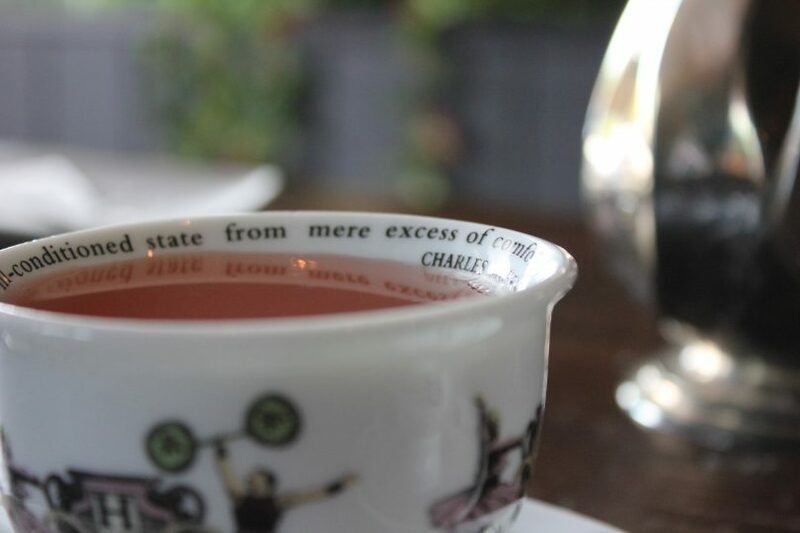 Also included is your choice of two signature cocktails – some of which you can pour straight out of the teapot into your saucer. Cocktails served in teapots and saucers add character to the Tipsy Tea. Your date with Alice will start with a tiered platter packed with Christmas-themed goodies including Yorkshire pudding with roast beef and horseradish cream and prosciutto and herbed cheese Christmas tree. This is followed by a Christmas-themed dessert platter to get you all giddy inside. An assortment of gingerbread ‘reindeer’, choc mint delice with crushed candy cane garnish, and mini Christmas puddings. A Christmas-themed high tea with gingerbread ‘reindeer’. If you’re feeling even more curious, the delightful cocktail menu will have you partying like the Mad Hatter! 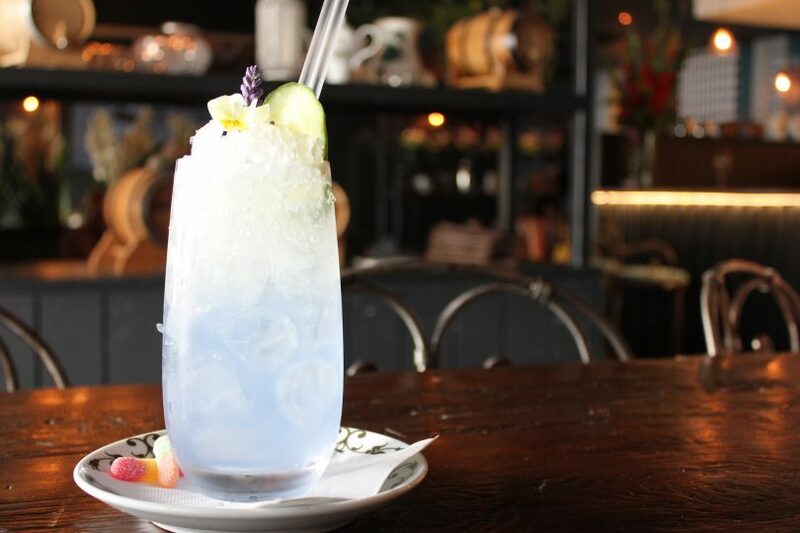 Choices include the signature ‘Caterpillar’ – a mixture of Tanqueray gin, Massenez Violettes, St Germain and lemon, shaken with house made lavender and vanilla bean syrup and topped with Prosecco. This dreamy concoction also comes served with a side of sour worms. White Rabbit’s signature ‘Caterpillar’ cocktail served with a side of sour worms. 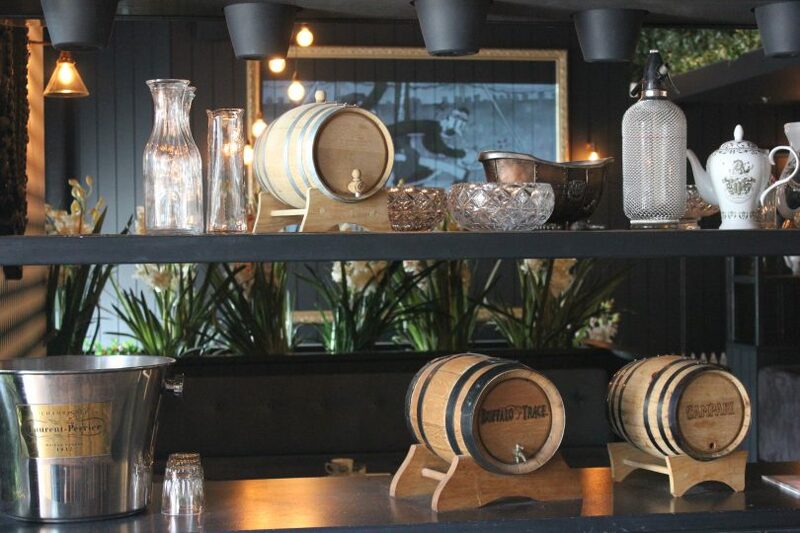 Nick both designs and serves the cocktails on the menu, adding that little bit of authenticity to what White Rabbit has to offer. 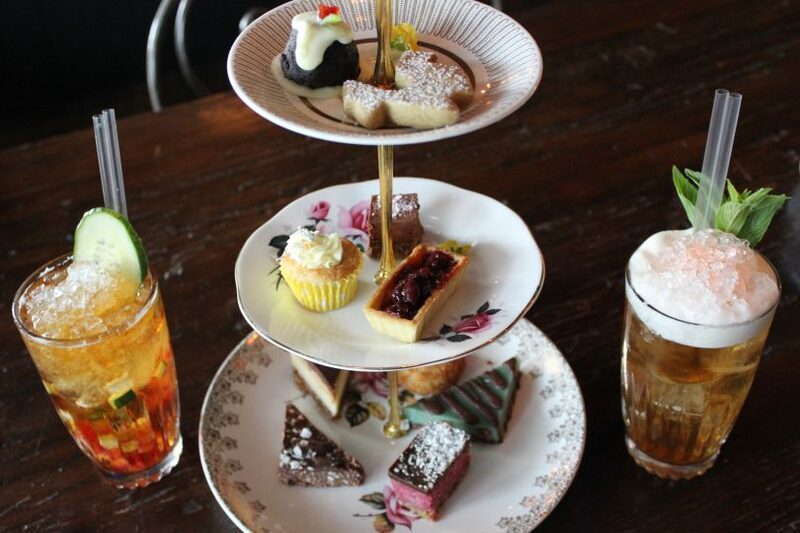 The Tipsy Tea menu also accommodates those looking to keep things low key, including the ability to exchange the choice of cocktails for sparkling wine, tea, or coffee. Vegetarians, vegans, and celiacs will also feel most welcome with special servings of cucumber sandwiches, roasted veggies, caramel squares, and ‘cherry ripe’ slices. Vegetarian, vegan and gluten-free options are also available. Those seeking more adventures in this little wonderland, can opt for a cocktail class, which Nick says are offered every Saturday. Bookings are essential for both the cocktail classes and the Tipsy Tea. Venue hire is also available. White Rabbit also offers cocktail classes perfect for a girls’ night out! White Rabbit is located at 65 Northbourne Avenue and is open Tuesday to Saturdays 5 pm till late. 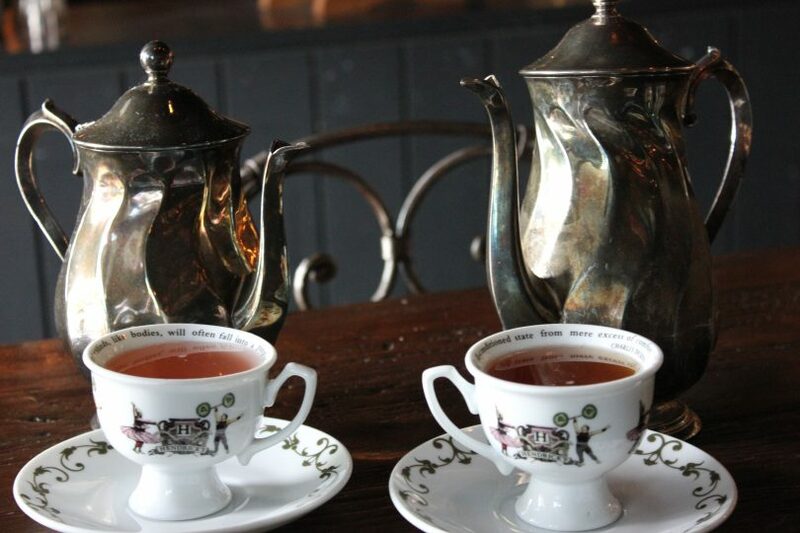 Tipsy Tea is offered weekends from 2 pm- 5 pm. For more information visit the White Rabbit website or call them on (02) 6257 7779.